The City of Philadelphia released a cost-benefit study, authored by its financial advisor, that estimates a sale of the Philadelphia Gas Works (“PGW”) could generate net sales proceeds in the range of $422 million to $872 million for the City of Philadelphia. These funds would be used to bolster the City’s severely underfunded pension fund. The City’s financial advisor, Lazard Frères & Co. LLC (“Lazard”), predicted a potential sales price range of $1.45 billion to $1.9 billion, which is $50 million higher than the range in its February 2012 analysis for the City. A portion of the sale proceeds would be used immediately to defease PGW’s debt, fully fund PGW’s unfunded pension liabilities and cover other costs, resulting in the projected net sale proceeds amount. Lazard’s analysis also estimates the net present value of both the future tax revenues that the City would be expected to receive from a private owner and the foregone $18 million annual franchise fee that PGW currently pays to the City. When those factors are taken into account, the net present value benefit to the City of a PGW sale in the updated valuation range is projected to be between $278 million and $764 million. In addition to the monetary costs and benefits to the City that would likely result from a sale, Lazard also provided a qualitative assessment of the benefits and considerations of a non-City-owned PGW. Enhanced ability of a private owner to invest in accelerated pipeline replacement and safety programs. potential for residual exposure to certain retained liabilities, such as future unfunded pension/OPEB liabilities or contingent environmental liabilities, if the City cannot transfer them to a buyer as part of the sale process. “Assuming a sale in the valuation range resulting from our analysis, our estimated quantitative and qualitative analyses indicate that the benefits of selling PGW would likely significantly exceed the associated costs and considerations for the City, its residents and PGW customers,” said George Bilicic, Global Head of Power, Energy and Infrastructure at Lazard. Potential buyers of PGW are aware that the City has established certain customer protection requirements. For example, the sale agreement will require that the senior citizen program continue under its current terms and the Pennsylvania Public Utility Commission (PUC) will continue to oversee the program that assists low-income households. These protections are factored into Lazard’s sale price range estimate as is a rate freeze through 2017, the year in which PGW currently anticipates needing a rate increase. The sale process has now advanced to the stage where qualified bidders have been identified and are receiving additional information about PGW’s operations. The City anticipates reaching agreement with a buyer in early 2014. 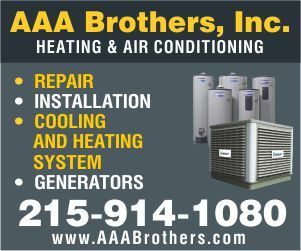 The final sales agreement would require approval from Philadelphia’s City Council and the Pennsylvania PUC. 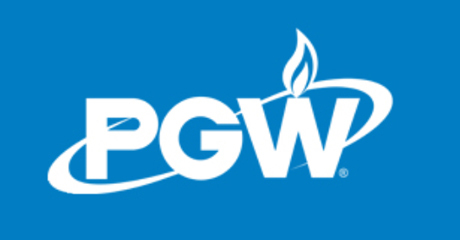 PGW is the nation’s largest municipally-owned gas utility, with annual revenues of more than $600 million, more than 500,000 residential, commercial and industrial customers, and more than 1,600 employees. Read more about the sale process and submit questions or comments at www.exploringasale.com. Should The City Sell Off Philadelphia Airport?